North Creek Trail | Pacific Northwest - On Leash! 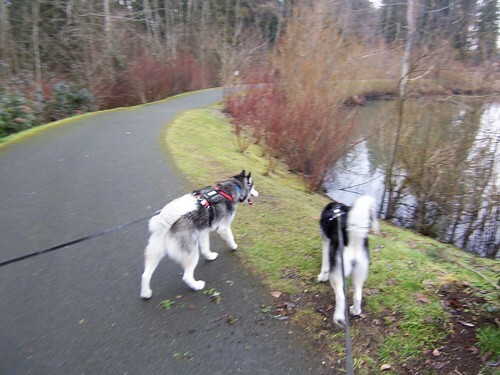 Pacific Northwest – On Leash! If you’re looking for an easy trail to enjoy in the city, try the North Creek Trail that runs behind the Mill Creek Town Center. The trail is paved and wide enough to ride your bike, walk, or run with your dog. There are “good neighbor bag” dispensers and trash cans along the trail. 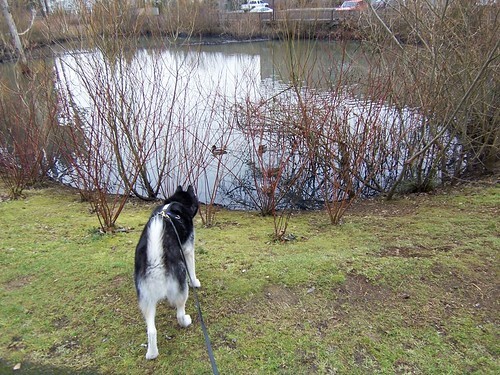 There is even a pond along the trail, complete with ducks, which always provides some good entertainment for the dogs. Most of the trail is unlit, although the parts near the Town Center are lit. During the winter, when the daylight hours are short, try walking the trail in one direction, and walking through the Town Center on the way back. The Town Center is well lit, with wide sidewalks and is very dog friendly. If you have some extra time, Paddywack is a great pet store. The prices are reasonable, dogs are allowed inside, and the employees are always eager to hand out treats. 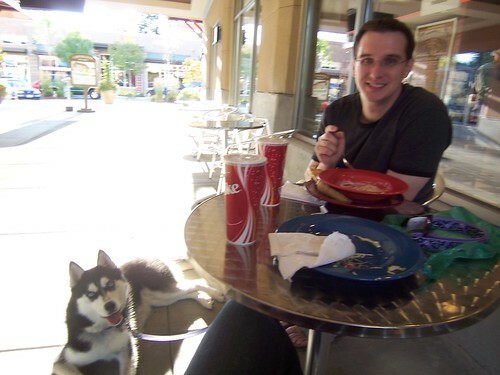 There are also several restaurants with outdoor areas so you can order your food and sit outside with your dog. We usually make a stop at Paddywack for a couple bully sticks for the pups, then head to either Fire Station Deli or Blazin’ Onion Burger Company for some tasty food for the humans! Where is the HANDSOME one’s face??? Great presentation again. We so wish we had access to nice trails like woo do.